Who would've thought that a small local Atlanta promo video would end up with an official video landing on VEVO?! Within 3 months, Rich Homie Quan's promo video to his track ‘Type of Way’ has already touched 2 million + views and now the song has an official video to it. And I love it all! 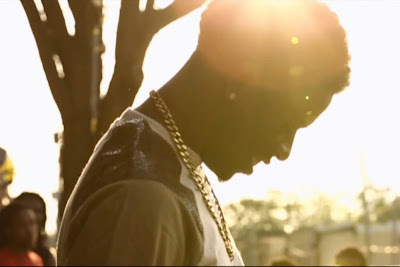 23 year old Rich Homie Quan hails out of Atlanta, Georgia and is currently signed to T.I.G. Entertainment. ‘Type of Way’ is off his mixtape Still Goin In (Reloaded) - which is still in heavy rotation in my speakers, and has taken over the clubs, radio and TV in the States. Rich Homie Quan even stopped by the famous Breakfast Club in New York City last week for an exclusive radio interview (peep that below as well). The Atlanta native looks like he has a promising future, who knows whats next from him?